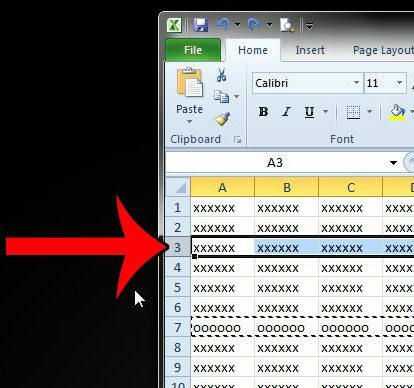 Learning how to move a row in Excel 2010 is a good way to quickly adjust the layout of the data in an Excel worksheet. 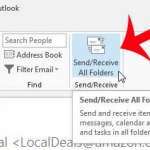 Data isn’t always in its ideal spot when you first add it to a spreadsheet in Microsoft Excel 2010, so it is not uncommon to need to move it around. But if you have already entered an entire row of data into your worksheet, the prospect of deleting and retyping it, or manually cutting and pasting individual cells, can seem tedious. One way to expedite the process of moving data is to move entire rows at a time. 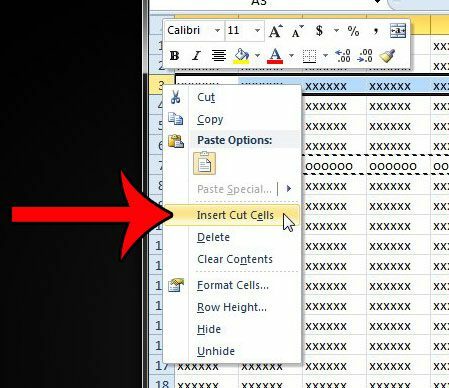 This is accomplished in Excel 2010 by cutting a row from its current location and pasting it into the desired new location. The steps that are required to move a row in Microsoft Excel 2010 are very similar to the steps required to move a column. 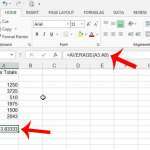 You can read here to learn how to move columns in Excel as well. 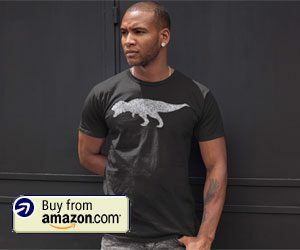 But you can continue below to move a row in Excel and see how the functionality works, which can give you a clearer understanding of how rows and columns interact within the context of your entire Excel spreadsheet. Step 1: Open the spreadsheet containing the row that you want to move. Step 2: Locate the row number of the row that you want to move, then click the row number once to select the entire row. Note that you can select a range of multiple rows by clicking the top row that you wish to move, then holding the Shift key on your keyboard and clicking the bottom row that you wish to move. Step 3: Right-click the row number, then click the Cut option. 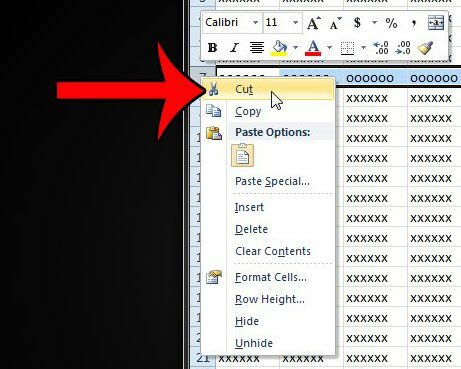 Note that you can also cut the selected row by pressing Ctrl + X on your keyboard, or by clicking the Cut icon in the Clipboard section of the Home tab. 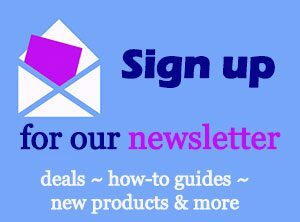 Step 4: Click the row number under which you would like to insert the row that you just cut. For example, I am selecting row 3 in the image below. This means that the row I cut in the previous step will be inserted above row 3, pushing the current row 3 down to row 4. Step 5: Right-click the row number that you selected in Step 4, then click the Insert Cut Cells option. Select the row number that you want to move. Right-click the selected row, then click the Cut option. Click the row number under where you would like to insert the row that you just cut. Right-click the selected row number, then click the Insert Cut Cells option. As mentioned earlier, you can move rows in Excel by clicking the first row that you wish to move, holding the Shift key on your keyboard, then clicking the bottom row that you want to move. 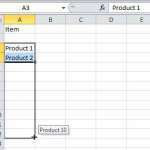 This method for moving multiple rows in Excel will only work for a contiguous group of rows. You will not be able to select different individual rows from all over your spreadsheet. Is there a row of information in your spreadsheet that you do not need, or that you do not want other people to see? 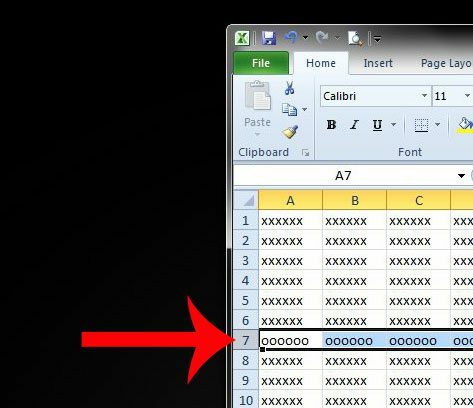 Learn how to hide a row in Excel 2010 to keep the data in your spreadsheet, but stop it from being visible.